Last month at PacPrint 2017 in Melbourne, co-founder and general manager of Watermarx Graphics , our very own Ange O’Dea, was invited to be on the panel at the Women in Print breakfast. 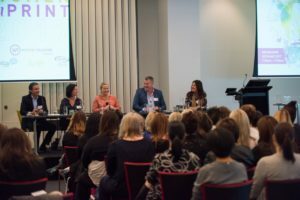 115 women gathered for the two-hour breakfast event, to listen to a lively discussion about industry innovation, equality for women, and finding balance in life. Other panellists included Matt Aitken, Kelly Northwood, and Erick Cordero, as well as Susan Heaney (managing director of Heaney’s Performers in Print) who was the facilitator. The panel tackled everything from sexism and women’s voices in the industry. 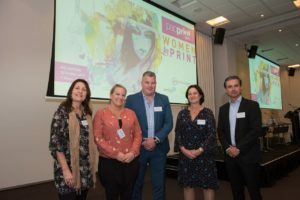 Ange O’Dea shared her experience of the differences working female- versus male-dominated industries, based on her previous career in healthcare, and now working in the male-dominated world of printing. A question came from the floor about the issue in print of educating designers in the craft. 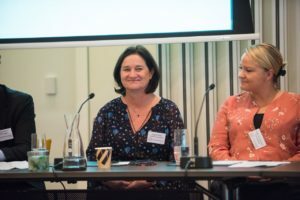 There was some debate about whether designers are receiving a practical understanding of print and paper, and how best to offer this practical knowledge. “The solution has to be an industry one,” said Ange. Here at Watermarx, we love helping designers learn the nuances of print and paper and collaborating on beautiful design. The door is always open, the offer always stands, so talk to us! Ask us your questions! We are so open to helping you achieve the best work and excited to help bring to life your creative magic. PacPrint was busy for us but inspiring, as always. 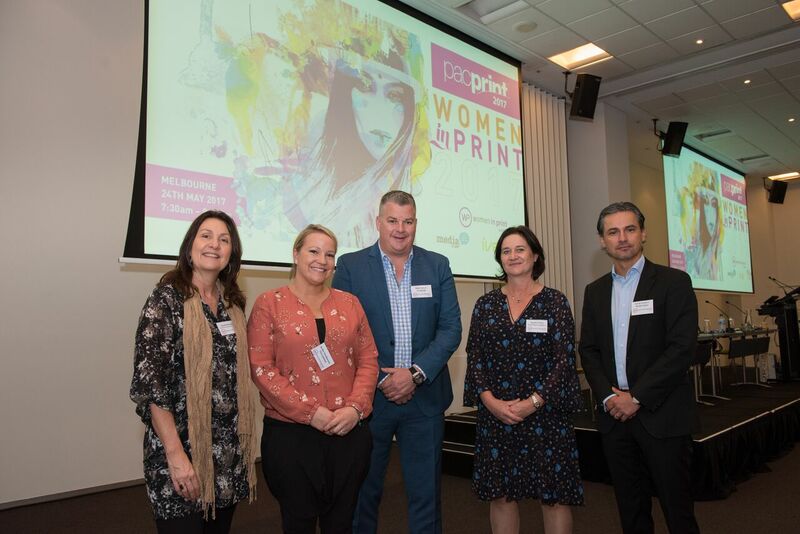 Thank you, Women in Print, for inviting us to be part of this event. See you next time! This entry was posted on Monday, June 19th, 2017 at 9:39 pm	and is filed under Watermarx. You can follow any responses to this entry through the RSS 2.0 feed. Both comments and pings are currently closed.